Wondering how to adapt to all the Facebook changes? Upset your Facebook ads aren’t getting the ROI you expect? Wondering if Facebook is a dying platform for lead generation? Facebook is evolving with the demands of it’s users and we know Facebook isn’t going away anytime soon. 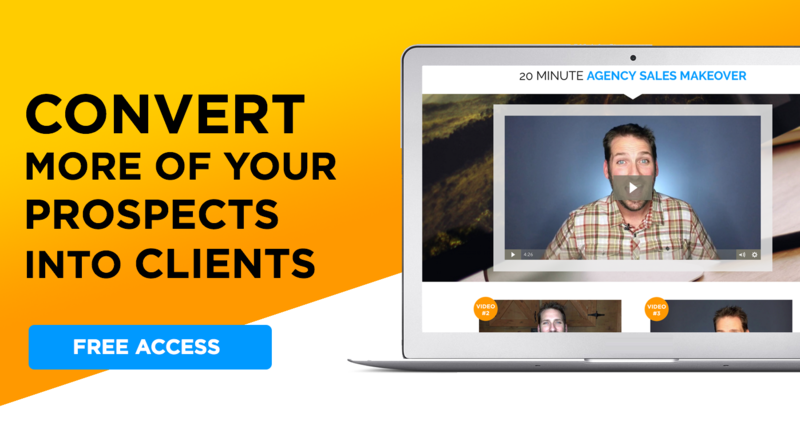 Learn from an expert on the best way to position your Facebook ads as well as utilizing Facebook live and videos to build relationships. Is Facebook a dying platform for lead gen? How to use Facebook ads to generate leads. 3 strategies for using video on Facebook. Today I chatted with Curt Maly, CBDO at Black Box Social Media, speaker and primary voice of Social Media Ad Genius. With over 8 years experience working with Facebook Ads, Curt shares some insight on the current Facebook landscape and how your agency can adapt. With the focus being on building relationships, Curt shares some tips on Facebook Live and videos that will help your agency achieve a like, know and trust factor that is so important for building a sales pipeline. The current news media surrounding Europe’s GDPR has definitely scared some from using Facebook, but this won’t necessarily last. Curt says Facebook ads definitely aren’t for every industry. You and/or your clients might perform better on another platform. For example, Instagram is showing success as it emerges as a more popular platform. However since it’s photo-centric you need to make sure you’re smart about relevant content to build your agency brand on Instagram. Your agency needs to build a human relationship and that’s going to cost more in ad dollars. It is time to focus on content vs. relevance. Facebook is currently the largest publishing platform. And, if your agency want to use the largest publishing platform to generate leads, then you need to publish really good content and follow-up accordingly! A current Facebook analysis says that clicks and/or click-thru rates don’t necessarily mean someone is going to increase brand awareness or intent to purchase. This goes against the common ideology, so the industry needs an ideology change. We need to adapt to change, social media platforms are still a bit of the wild wild west. Facebook is ever changing their algorithms. Right now Facebook is looking at the engagement on business profile pages and their posts. Facebook is dinging business for “click bait” if people are clicking your link to a landing page and then come right back to Facebook. This is why using Facebook for organic reach with direct response won’t work if your agency isn’t playing in the game of Facebook. A successful business plan includes engaging posts and relationship building, not just running ads. You won’t have scalable traffic or a predictable pipeline if you’re just focusing on ROI and not the personal relationships. Video allows a viewer to relate to you, get to know you and build a rapport with you. This is a much better business building strategy than a “good hook” in your ad copy. When looking to create a video, Curt says he likes to think of structure of infomercials. That’s right, infomercials. Infomercials last the test of time and follow a basic formula: every 3-5 minutes, there is a call-to-action. Many of us only give a CTA at the end of the video. But for those who don’t want all the way through, they miss out on the their next steps. Short one minute video. Use this video to address a cold audience. Generally, this video is to build awareness. Provide 2-3 bullet points and then a call-to-action. Hint: Instagram can support a 1-minute video too, so why not multipurpose? Facebook Live. Use this type of video to help people get to know you and your agency brand. Facebook Live videos can help grow engagement to score points with Facebook. As much as 80-90% of views are from Facebook live replays. Apply infomercial structure and split your video into 4 equal parts with a CTA after each part. In the first 30 seconds give them: what you’re going to cover or why they should watch and a CTA or where to find out more info. Long, 10-15 minute videos. Use these videos to provide great value to the existing followers. as well as to announce or promote something new. You can have more than one CTA and take them multiple places, such as a landing page, an early bird list, or even point them to “like” and “follow” you on Facebook. 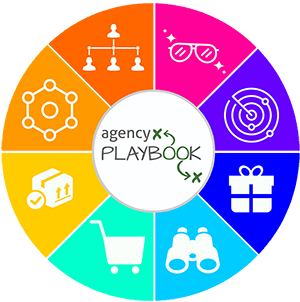 Ready to Discover the Best Agency Strategies Working Today?